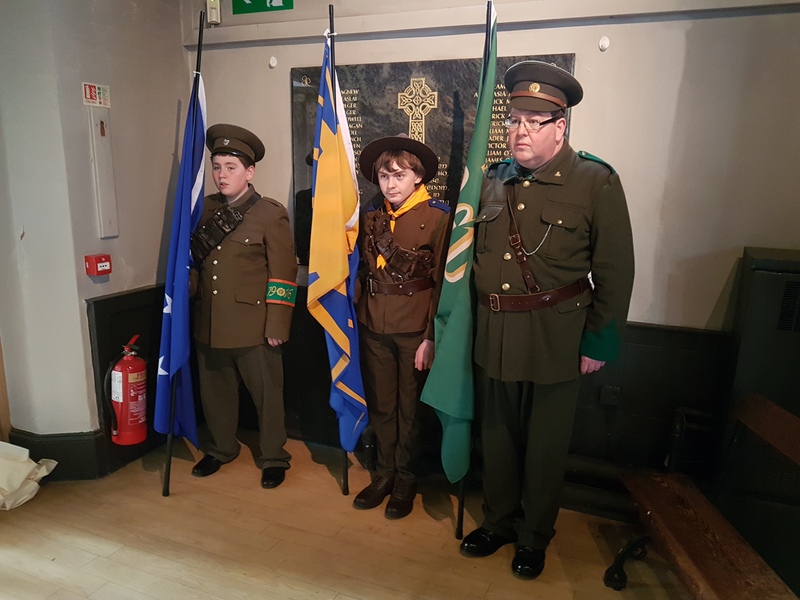 Liverpool's Easter Rising 1916 Centenary Events 2016 | Liverpool Easter 1916 Commemoration Committee – Commemorating the Liverpool men and women of the Irish Volunteers and Cumann na mBan who participated in the 1916 Easter Rising in Dublin. News has just reached us this afternoon that Dr Kevin McNamara, our Chair and leader has sadly died today. We offer our sincerest condolences to Kevin’ wife Nora, his children and his extended family on this very sad day. Of course, Kevin’s 40 years involvement in British politics as a Labour MP and friend of the Irish community in Britain will be well noted. But for us, Kevin was loved and admired by us all who knew him through the Liverpool Easter 1916 Commemoration Committee for the past 4 years. His drive and passion to research and properly commemorate the Liverpool women and men who fought for Irish freedom 101 years ago both inspired us and drove us forward despite the many obsticles set before us. 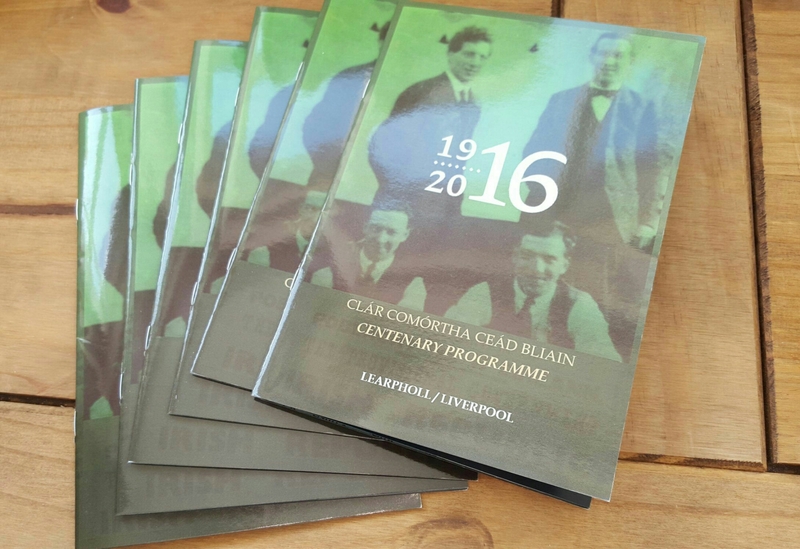 Kevin’s diligence, skills and presense ensured that during the centenary year of the Easter Rising the ‘Liverpool story’ would be heard and rightly recognised. June 2017 saw the unveiling of the Liverpool Easter Rising Memorial. We’re so glad that Kevin saw that day and his contribution that day portrayed a man still very much in love with Ireland and his place being firmly set amongst its people. 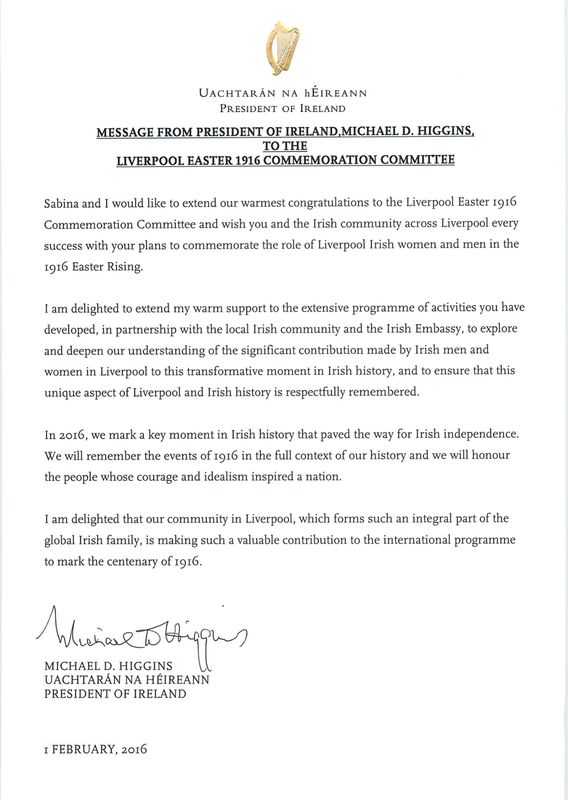 The Memorial will be a lasting testament to his work on Liverpool and the Easter Rising, and we are all so glad to have known him and will be forever thankful to him. As soon as we have anymore information on Kevin, we’ll post it to this page. 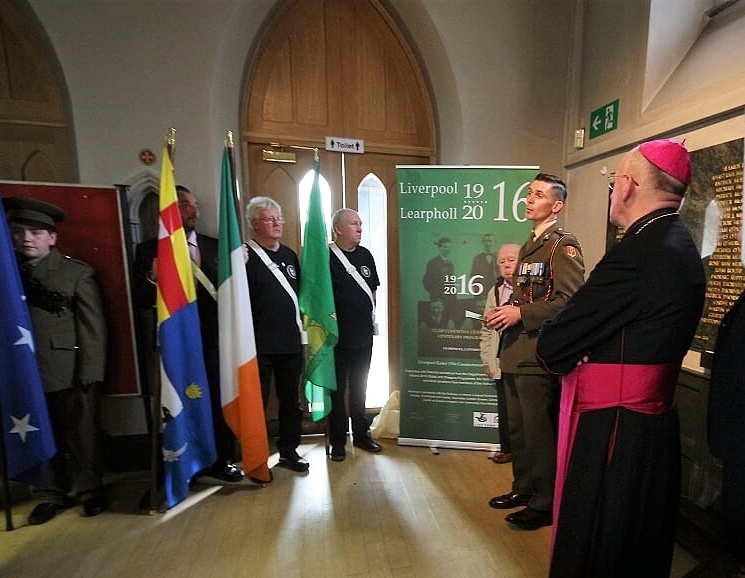 Formed in 2013, the Liverpool Easter 1916 Commemoration Committee set out to record and commemorate the women and men of Liverpool Irish community who fought in defense of the Irish Republic during the Easter Rising in Dublin 1916. 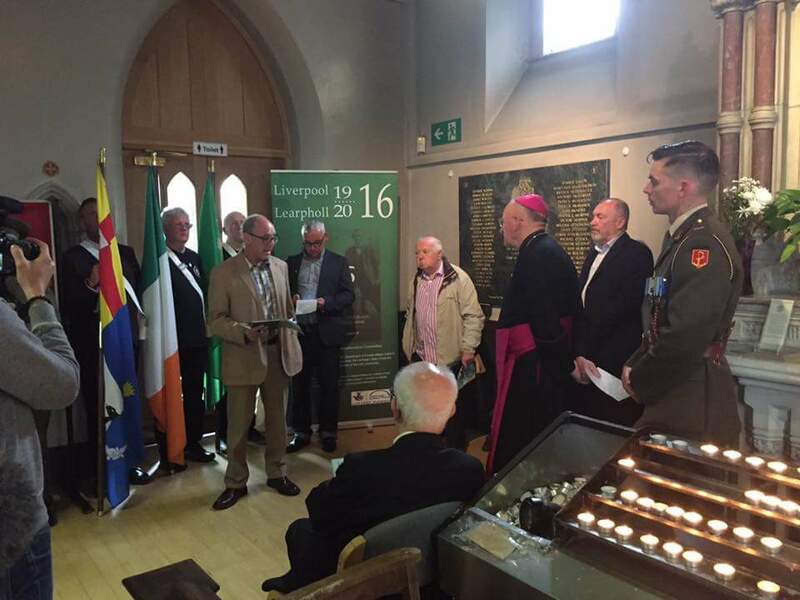 The Committee organised a wide range of public events during 2016 to accompany the worldwide Easter Rising centenary celebrations. 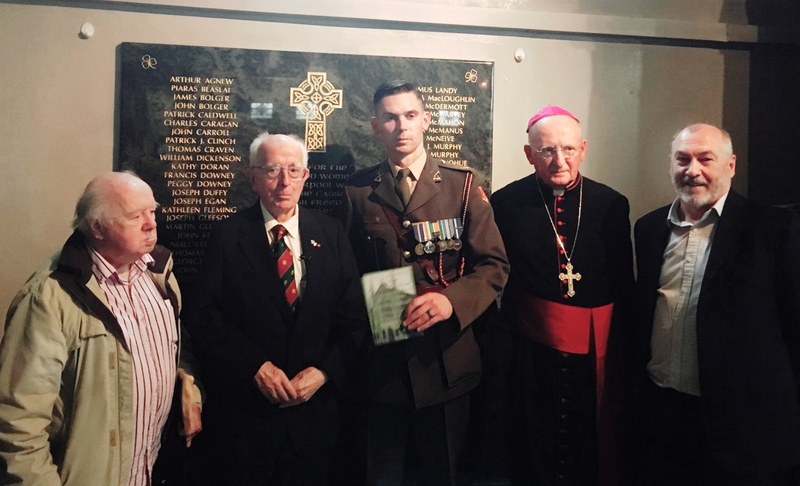 Yesterday saw the culmination of 4 years of work with the public unveiling at St Anthony’s Roman Catholic Church, Scotland Road, Liverpool of a permanent memorial listing the individual names of the Liverpool Irish volunteers who participated in the Rising. 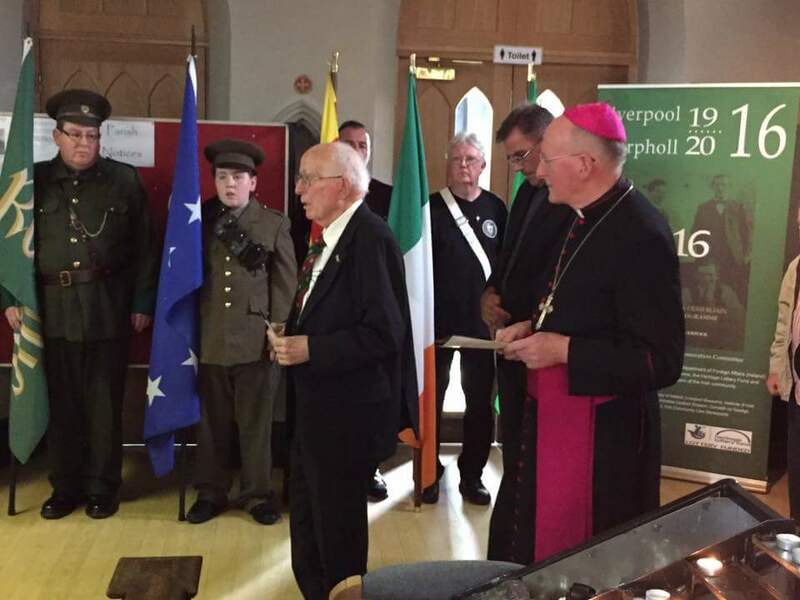 Chaired by Dr Kevin McNamara (Chair of the Liverpool Committee) the unveiling was performed by Mr Bernard Morgan whose mother Rose Ann Murphy was a member of Cumann na mBan Liverpool and Easter Rising veteran; Mr Peter King, grand nephew to George, John and Patrick King of the Irish Volunteer’s Liverpool and Easter Rising veterans; and finally Commandant Stephen Mac Eoin, Officer in Charge, Dublin Military Archive of the Irish Defense Forces who addressed the ceremony. 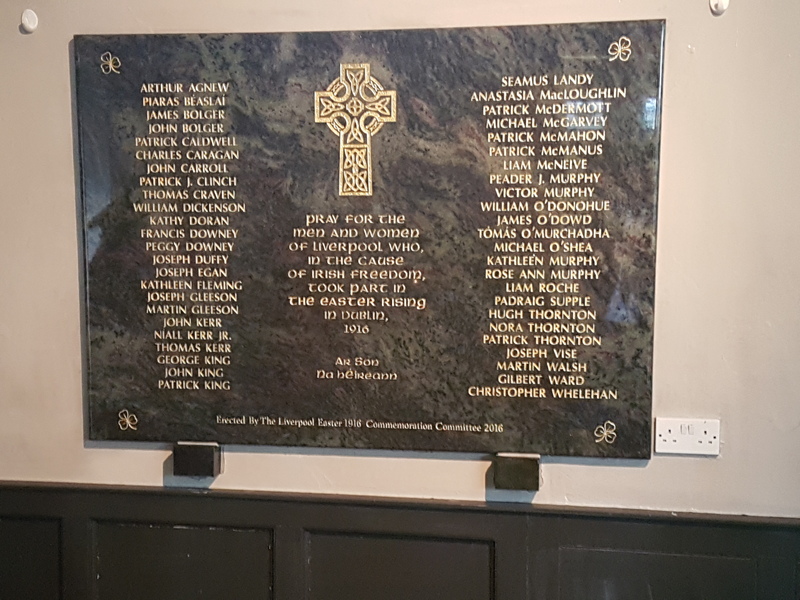 Following the unveiling, the Memorial was blessed by Bishop Tom Williams, Auxiliary Bishop of Liverpool and a roll call of those listed on the memorial was read by Mr Seamus Murphy. 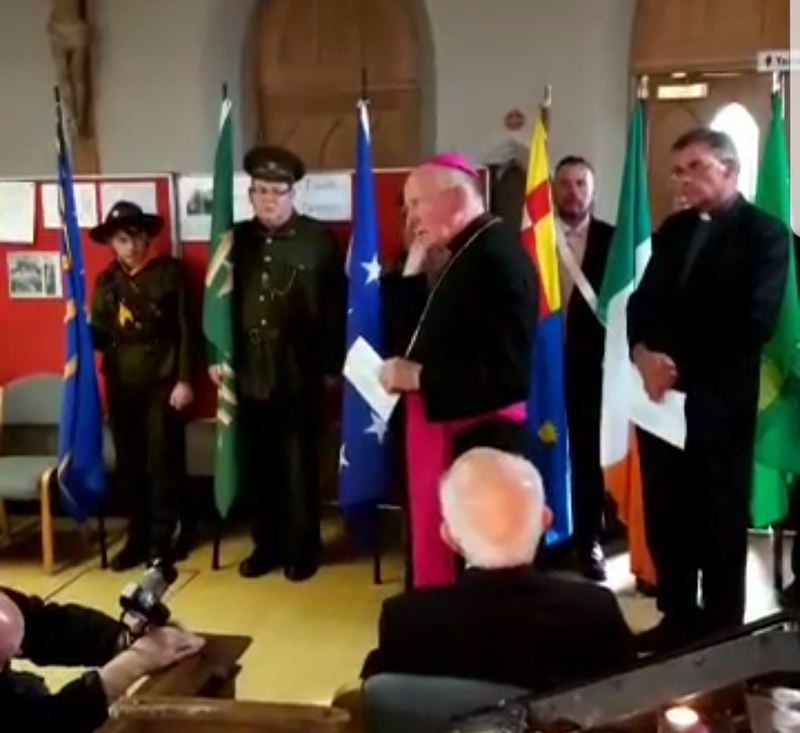 Concluding remarks and thanks were made by Mr Greg Quiery on behalf of Committee and the ceremony ended with the playing of Amhràn na bhFiann.